I read this article and found it very interesting, thought it might be something for you. The article is called “Phil Coyne, the 99 – Year Old Usher” | Monday Morning Motivate and is located at https://www.thesouldynamic.com/phil-coyne-the-99-year-old-usher-monday-morning-motivate/. Summer’s in full swing. The humidity’s in the air and a season of road trips and family memories are set to be made. While the majority of us will undoubtedly burn through our vacations days in order to take advantage of this annual right of passage. For Phil Coyne, the summer’s work is just beginning filled with the smell of hot dogs, fresh cut grass, at one of our country’s most beautiful cathedrals of sport. Phil Coyne may be a bigger celebrity than anybody on the field at PNC Park in Pittsburgh. 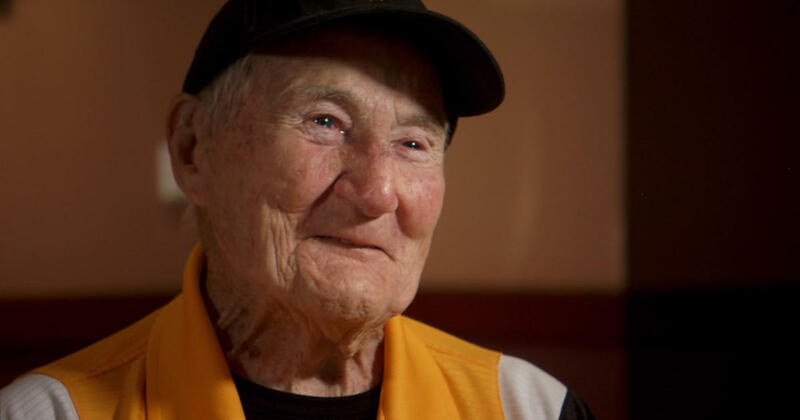 The 99-year-usher has been working Pirates games since he was a kid and is not about to stop anytime soon. Perseverance, passion, and attitude can keep you going and get you anywhere. Push thought forward. Music unifies us with it’s endless ability to motivate our spirits from low depths to higher gears, lifts us out of the pits of the rock bottom and evokes visions of our true selves max potential. Here you’ll find the industries’ artists and story-lines impacting the scene for better or worse. Because the start of everyone’s week deserves serious juice.